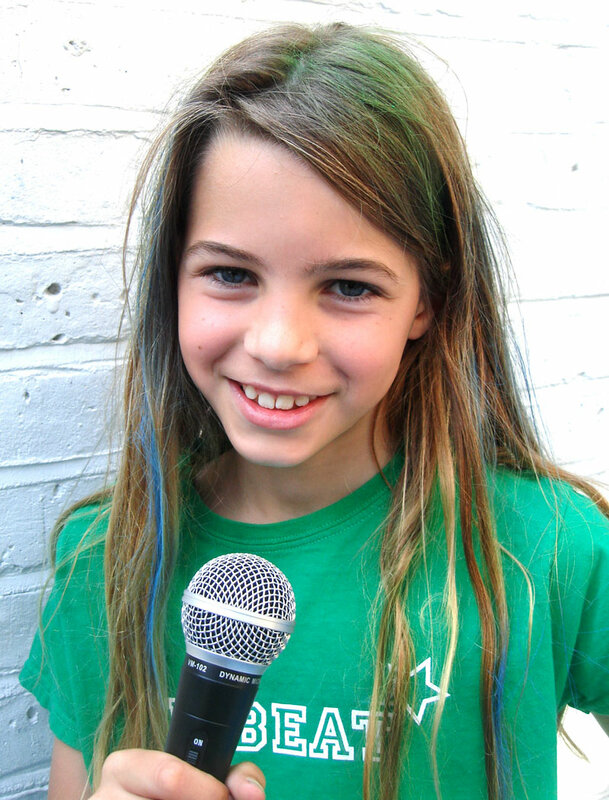 5 – 7 yrsPOPKIDS JUNIOR Popkids is all about having fun while you’re making music! 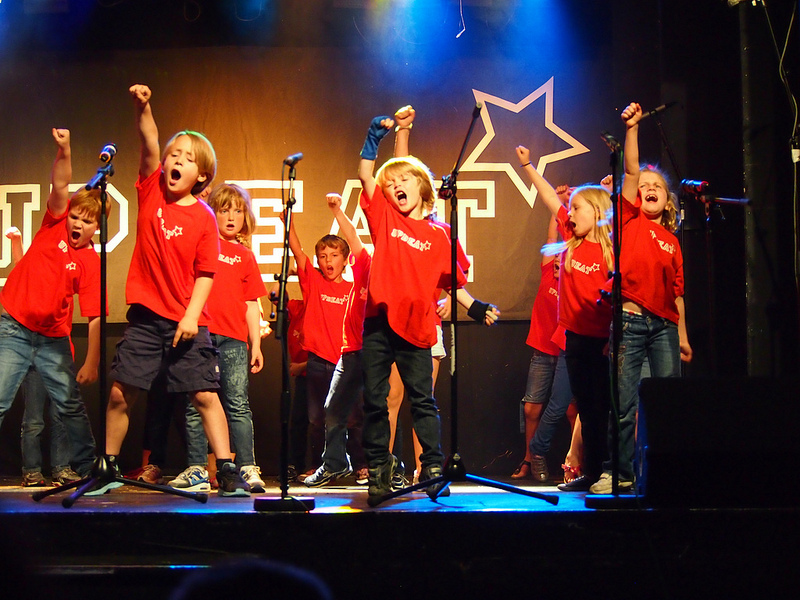 Popkids Junior offers children from 5 – 7 the opportunity to sing, dance, record their own CDs and perform in a variety of concerts. 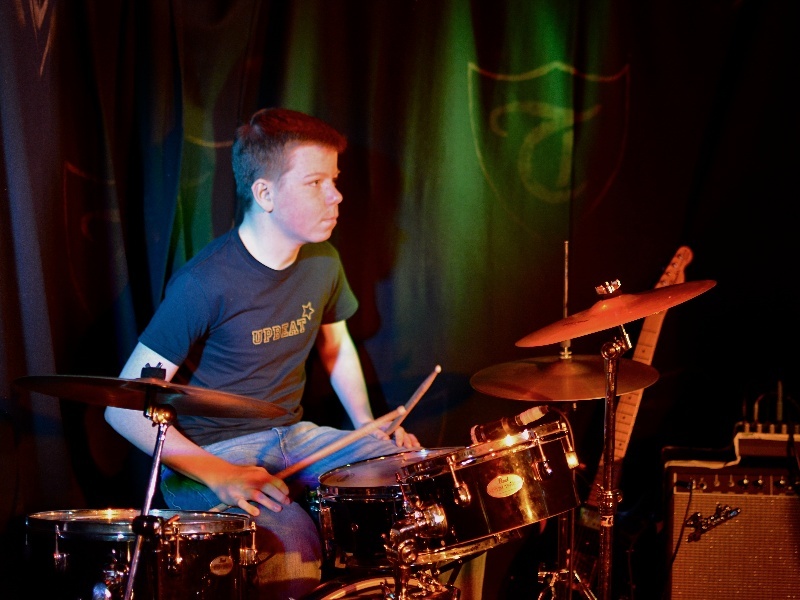 Sessions incorporate rhythm work and games with our resident drummer and electric guitarist! The children progress through Poppets, Popkids Junior to Popkids Senior. 7-8 Years POPKIDS SENIOR As a member of Popkids Senior, the children have their first taste of playing guitars and drums as well as continuing to sing, dance, record CDs and perform. They are then ready to make the transition to Band Session. Thomas’s Academy, New Kings Rd, SW6 4LY Parsons Green CONTACT US NOW! 8-18 BAND SESSIONS Vocal, dance and performance skills are now developed further as the children learn more complicated material. 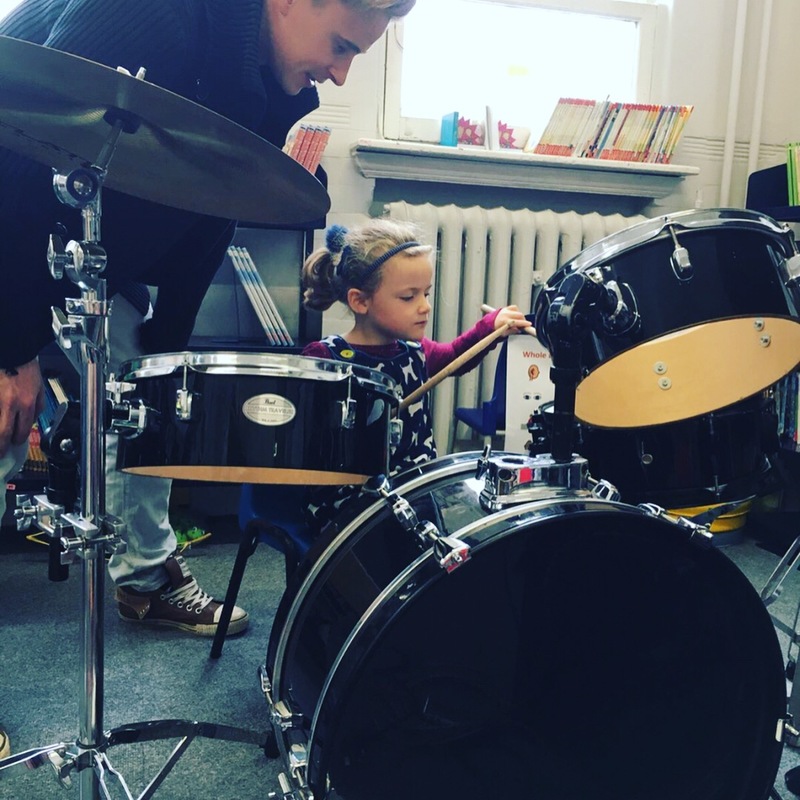 Children are given the opportunity to learn how to play guitars and drums as part of a band and solo vocalists and other instrumentalists are encouraged to perform with the bands in our termly concerts. 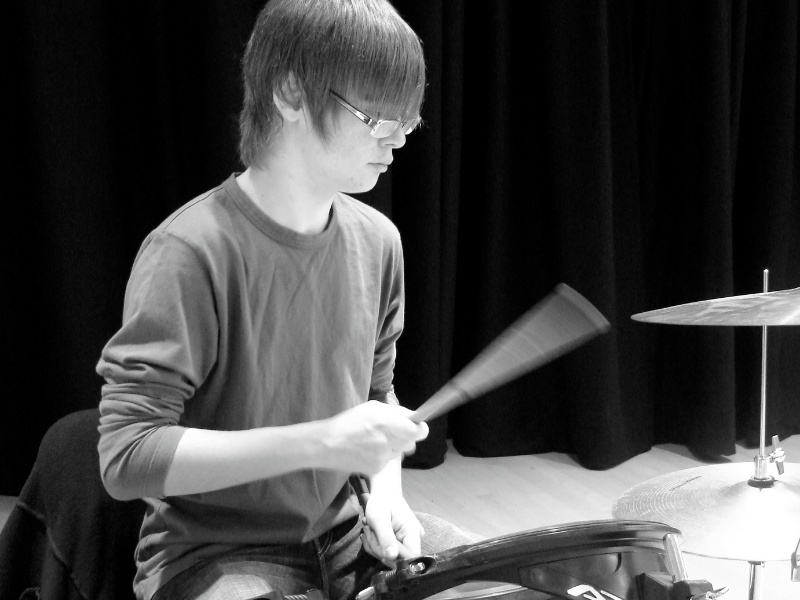 8-18 Years BAND SESSIONS PLUS A highly specialised course, where bands are formed! Most members participate in Band Sessions and then stay for Band Sessions Plus. 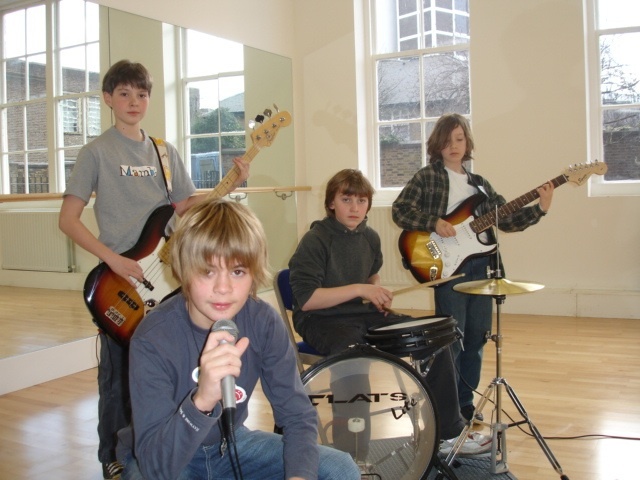 The children are taught in intensive band workshops, focusing on electric guitars, drums, keyboards, vocals and songwriting. 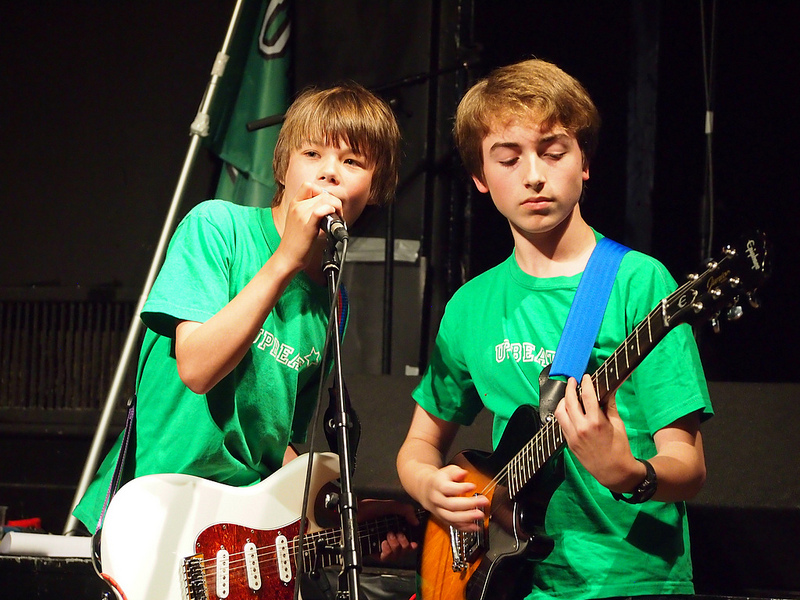 Members of BS+ experience the excitement of performing as part of a band each term and recording their own tracks onto CD. We encourage all our members to sing and develop skills on all of the band instruments, and we are always happy to incorporate other instruments and new ideas into our work with the bands! Children work through Stage 1 to Stage 2 and some prior instrumental knowledge is essential. 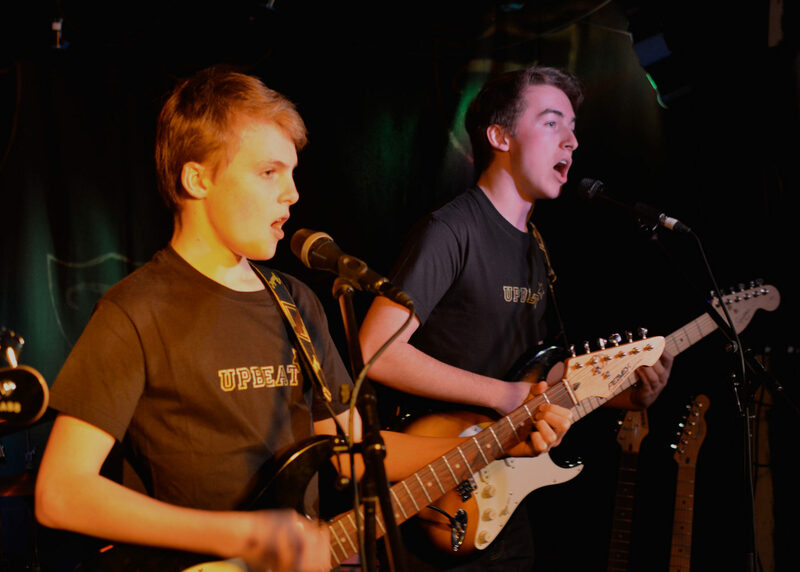 The courses culminate on stage at one of our Upbeat gigs, including our very own Battle Of The Bands, Upbeat at The Troubadour and UPBEAT ROCKS at Imperial College. Each term consists of 10 sessions. 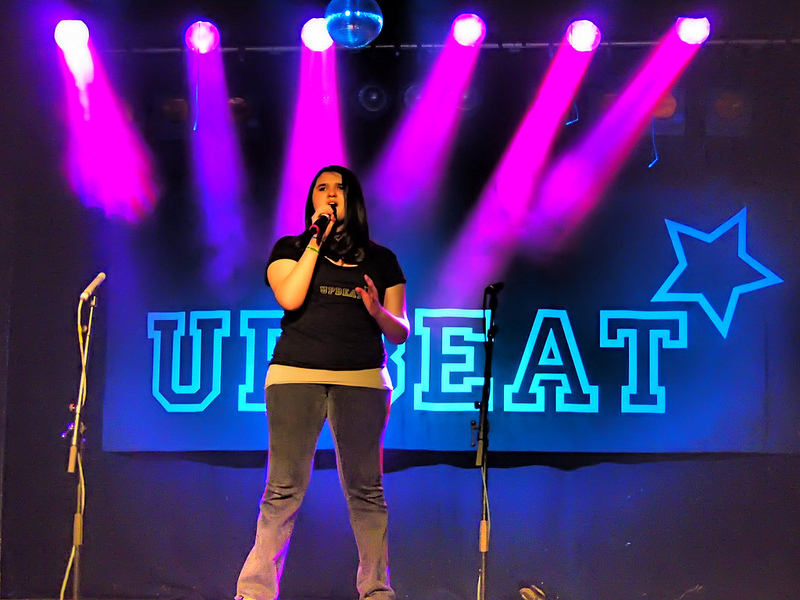 The Upbeat team can be booked to come into your school and set up after school clubs, choirs and intrumental ensembles. Let us enrich the musical life of your school with our dynamic performances and professional recordings. Call Maxine on 07816 901396 to arrange for a presentation of our services. Get in touch if you’d like Upbeat to set up an after school programme in YOUR school! Learn how to combine the elements of lyric writing, song structure, harmony and chords to create your own music. You will develop your recording skills with our sound engineer so that you can record your tracks and produce your own CDs. 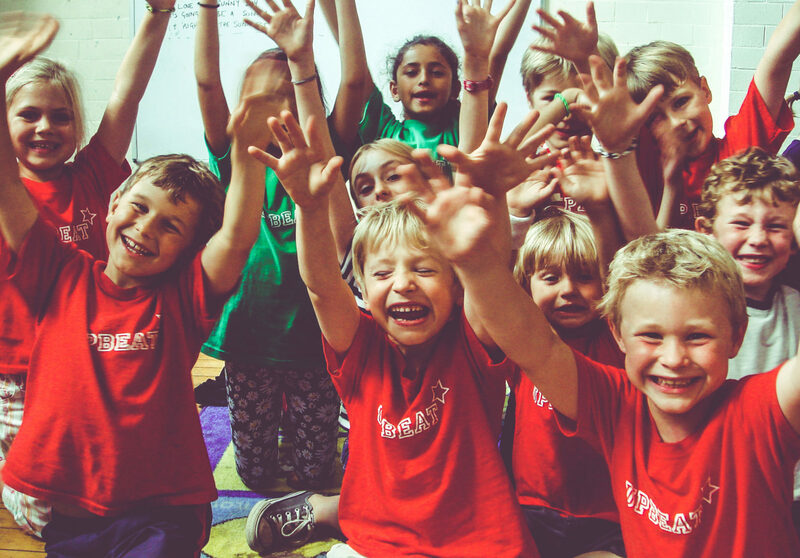 The sessions are planned around your child and are designed to provide a unique experience where their individual creativity and musicality is harnessed and developed. 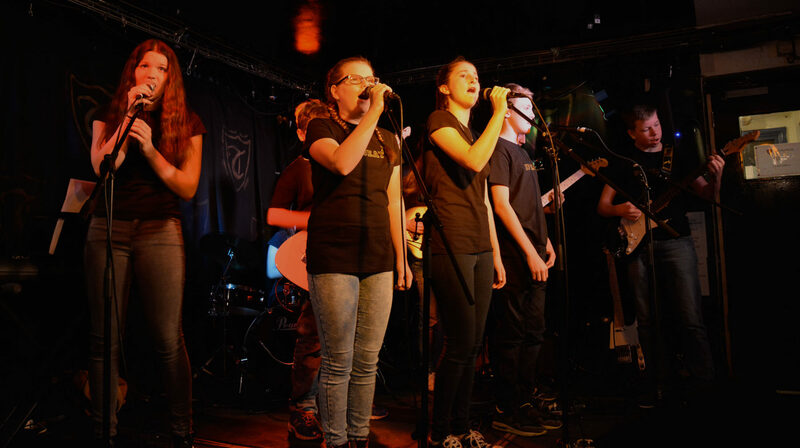 Either just attend the songwriting/ production sessions or stay on afterwards to develop your song into a real performance in our afternoon band workshops. Introduce your little ones (3 – 5yrs) to music in the Upbeat way, with songs, dance, games, drumming and above all lots of fun. Early exposure to music builds new pathways in a young child’s brain and amongst many other benefits, helps them develop language and communication skills, strengthen their memory and practise self expression. 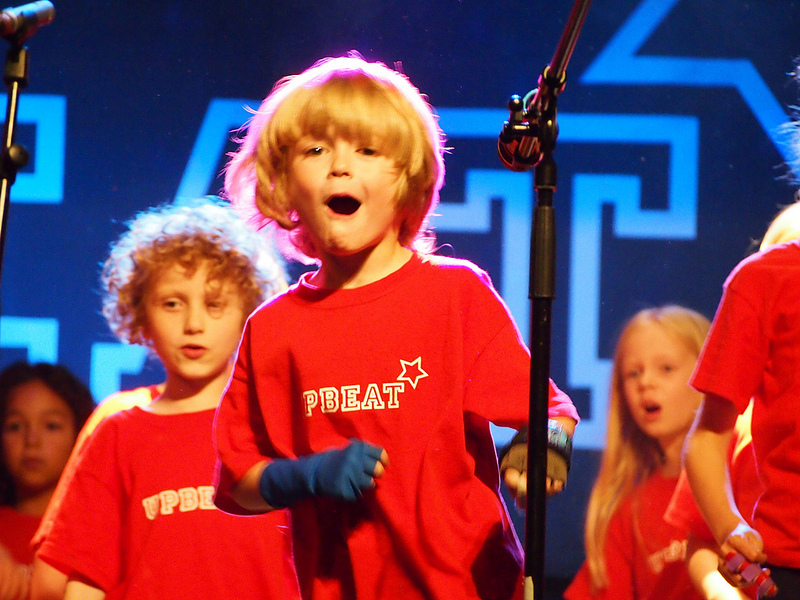 Upbeat POPpets sessions are taught by experienced teachers who understand how to inspire the love of music in your child. 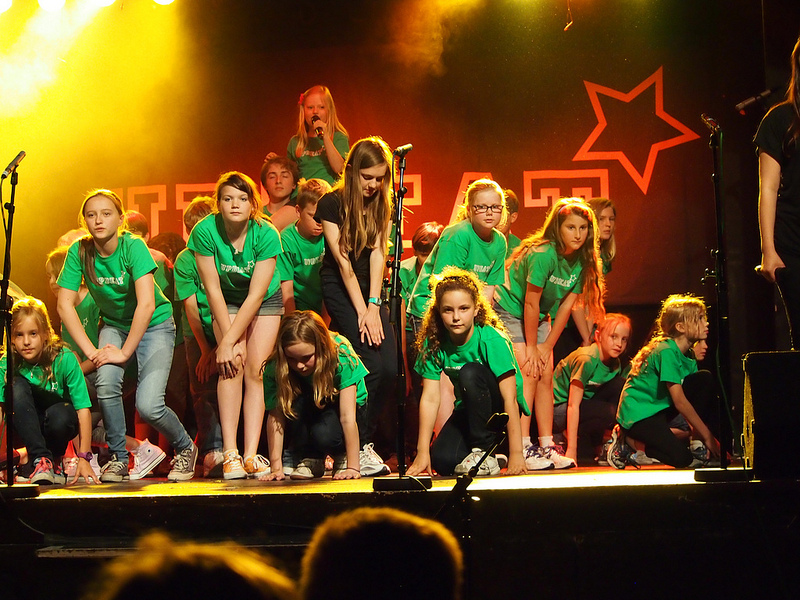 They also get to perform with the Popkids in our end of term shows.